Austin is a dog friendly city. At any given moment, man’s best friend can be seen walking alongside their owners on Town Lake, South Congress or even into restaurants and bars. Although canines are widely accepted around the city, many campus apartments have placed restrictions on the breeds residents are allowed to own. “Aggressive breeds,” most commonly referred to as pit bulls, Dobermans and Rottweilers are specifically banned in order to protect residents and living spaces. What classifies as an aggressive breed? “We understand aggressive breeds to be dogs like pit bulls, Rottweilers and Dobermans,” says Brittanie Murrie with The Villas. According to Murrie, these restrictions are decided on the corporate level, and they just comply with the rules. The restrictions can make the apartment hunt for dog owners difficult, especially if it falls into the “aggressive” category, Faith Daniel has found. 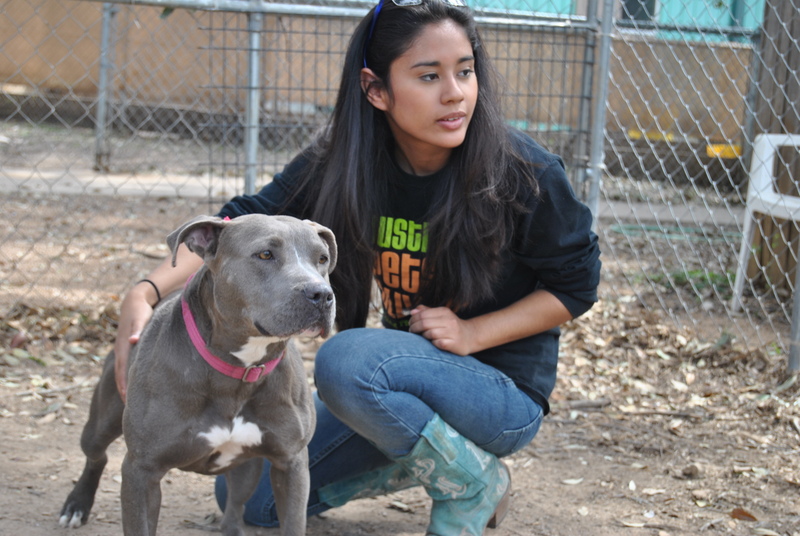 A third-year UT student and pit bull owner, Daniel says finding a place to live has proven challenging in the year she’s had her dog. She feels her dog is being discriminated against, even though she has never had issues with it being aggressive. Pit bulls have not always suffered from such a negative stigma. In the World War II era, pit bulls were a symbol for American freedom and a morale booster for people in a time of war. They graced the covers of war posters, and one even held a military title. 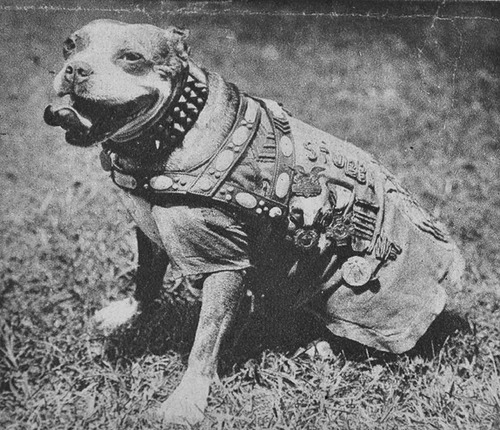 Sergeant Stubby became the first soldier dog of the 102nd Infantry and did his part by warning soldiers of gas attacks or waking sleeping troops when danger was near. He even captured a German spy: an act that earned him his title. The fall of the pit bull reputation can be attributed to a number of things: irresponsible ownership, dog fighting, gang culture and the media. Dog fighting dates back to the early 1800s when the blood sport of bull baiting was popular. Bull baiting involved pitting dogs against bulls in a gruesome public exhibition in which the dog was encouraged to take down the bull. According to the American Society of the Prevention of Cruelty to Animals (ASPCA), these bulldogs were eventually crossed with small, more agile terriers to produce the "bull terriers" that became the fountainhead of today's prominent fighting breeds. Staffordshire Bull Terriers, American Staffordshire Terriers and American pit bull Terriers all descend from this ancestry, with dogs falling into this breed commonly referred to as pit bulls. In 1976, the Supreme Court passed the American Welfare Act, which outlawed dog fighting in all 50 states. Around this time, the dog’s image began appearing in the media for illegal dog fighting and soon the breed was associated with violence. In the 1990s, pit bulls could be found in tons of rap videos, such as DMX’s “What’s My Name,” in which the opening scene of the video includes two pit bulls fighting in an arena. According to Aaron Caldwell, assistant behaviorist at Austin Pets Alive, dogs should be looked at on an individual level and not by breed. In fact, one of the biggest problems with pit bulls is breed misidentification. “The rate of accurately identifying breeds by sight is only 33%,” Caldwell says. The only way to truly know what breed a dog is requires a DNA test, which doesn’t come cheap, Caldwell says. Many campus apartments base their restrictions solely on sight; DNA tests are almost never performed. According to the ASPCA, the most accurate definition of the term “pit bull” refers to just two breeds: the American pit bull terrier and the American Staffordshire Terrier. Multiple breeds are commonly mistaken for pit bulls, including the Boxer, the Presa Canario, the Cane Corso, the Dogo Argentino, the Tosa Inu, the Bullmastiff, the Dogue de Bordeaux, the Alapaha Blue Blood Bulldog and the Olde English Bulldogge. 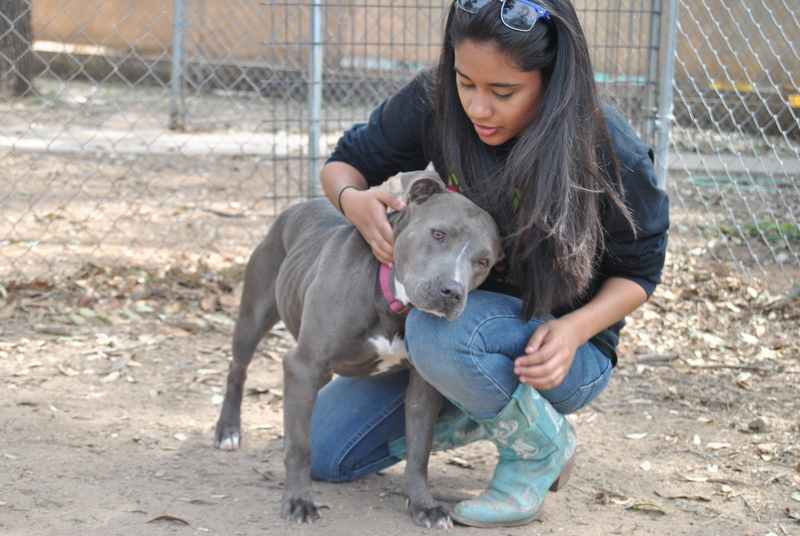 Cassandra Olivo, “matchmaker” and customer service representative at Austin Pets Alive says that “bully breeds” tend to stay the longest in the no-kill center because of their bad reputation. However, not one at the center has a bite record, she says. The only two dogs at the center that do are a Shih Tzu and a Jack Russell Terrier, pets commonly seen as household dogs. Some states even have breed specific legislation that ban pit bulls altogether, such as Colorado. 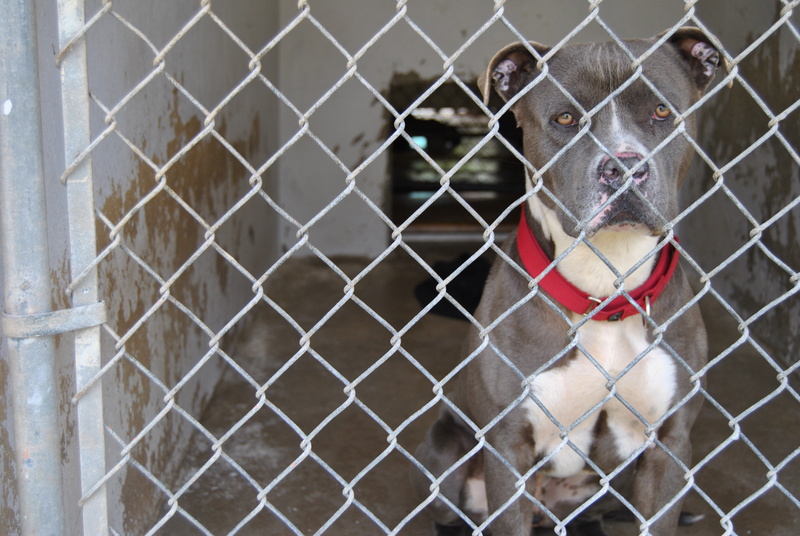 Denver is one of the many cities in the nation that have banned pit bulls. According to the American Humane Society, breed-specific legislation (BSL) is the banning or restriction of specific breeds of dogs considered “dangerous,” such as pit bull breeds, Rottweilers and German Shepherds. Many states, counties and municipal governments are turning to legislation that targets specific breeds as an answer to dog attacks. 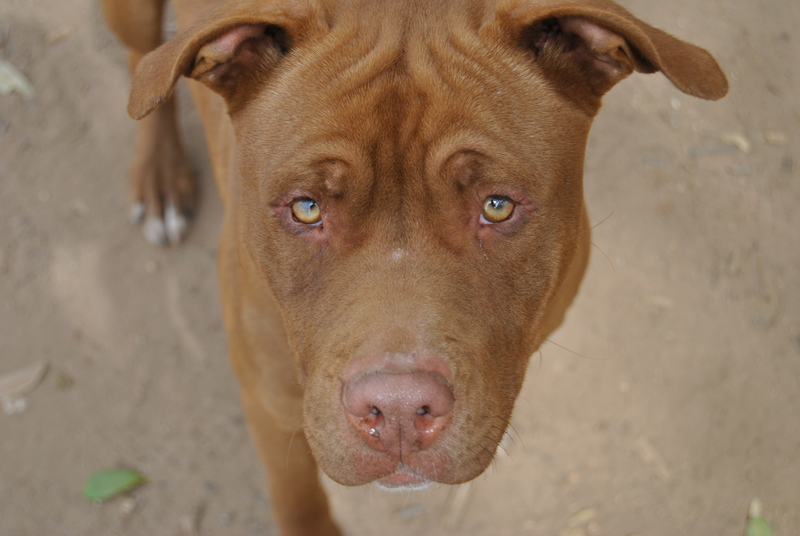 Groups such as the ASPCA describe this type of legislation as ineffective because it fails to look at the situations that provoke dog attacks and instead bans breeds altogether. The American Humane Society offers alternative suggestions to dog owners to keep them from becoming aggressive. Properly supervise and socialize your dog. If dogs are left unattended for too long, they may feel defensive. Dogs should be socialized with other animals and humans from an early age to provide exposure to their environment. The Humane Society also suggests keeping dogs restrained, but not chained. Twenty-four percent of dog attacks happen when the dog is loose and away from the owner’s property. Tethering or chaining dogs increases the probability that they will bite, which is why Texas has passed anti-tethering laws that prohibit the chaining, roping, leashing or cabling of dogs.